I2P is an anonymous network that allows establishing communications anonymously and securely to each other. It is strictly a message-based system, but there is a library to allow reliable streaming communication on the top of it. All communications are the end to end encrypted. There are four layers in total for encryption, and the endpoints are cryptographic identifiers which are mostly public keys. ATTENTION! You are not safe if you are accessing deep websites without NordVPN Tor Over Server. Tor Browser doesn’t provide you very best anonymity and complete privacy security. To maximize your privacy, always run NordVPN with tor browser. Freenet allows you to share files anonymously, communicate, publish and browse “free sites”, sites created with Freenet and are accessible only through Freenet.It is less vulnerable to attack because of decentralization and users connect only with friends in “DarkNet Mode, ” i.e., tough to detect. 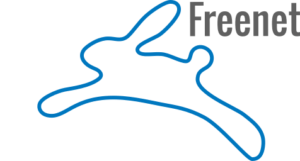 Communications by Freenet nodes are the end to end encrypted and are routed through other nodes to make it tough to determine who is requesting the information and what its content is. A user contributes bandwidth and portion of their hard-disk(called the “data store“) to the network for storing files. Saving of Favourite files but whereas the least used ones discarded to acquire space. Users are not held accountable or can’t discover the records in his Data store since they are encrypted. The Distributed data store is the base for Web sites, Search Functionality as well as Chat forums. RetroShae is a free software for encrypted filesharing, serverless email, instant messaging, online chat and BBS based on a friend to friend network built on GNU Privacy Guard (GPG). It is not strictly a darknet since optionally; peers may communicate certificates and IP addresses from and to their friends. A private mailing system allows communication is secure between friends. Posts from friends to friends distributed both anonymous and authenticated discussions using forum system. A Posted links system, Sharing of links to relevant information follows. Since version 0.6.0, Video calls are possible as well as supports anonymization in Tor and I2P networks. GNUnet is a mesh routing layer has a framework designed for distributed applications that replace the insecure Internet protocol stack and has end-to-end encrypted networking. 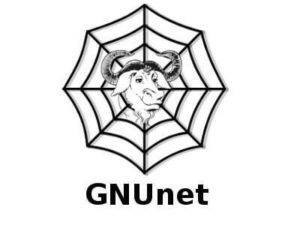 In other words, GNUnet provides a firm foundation of free software for a global, distributed network that provides security and privacy for its users. Along with an application for secure publication of the files, it has grown to include all kinds of necessary applications for the foundation of a GNU internet. The principle behind the GNUnet’s anonymous file sharing is by ECRS(Encoding for Censorship-Resistant Sharing) and new unknown routing called gap. With gap the peer messages are indistinguishable. Every peer act as routers and the connections are stable bandwidth utilization to communicate with each other. GNUnet allows better Service to the contributing peers with resource allocation using an excess-based model on accounting content encoding and the routing protocol. So Peers monitor each other’s behavior on resource usage; rewards of better service to peers that contribute to the network. ZeroNet is a decentralized Internet network of peer-to-peer users. It is in Budapest, Hungary which runs on Python and fully open source. 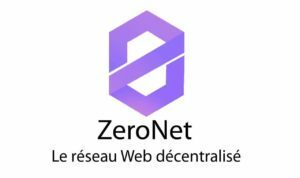 Sites have particular “ZeroNet URL“s which can be accessed through any ordinary web browser when using the ZeroNet application, which acts as a local web host for such pages. ZeroNet is not anonymous by default, but users can hide their IP address by using the built-in Tor functionality. It uses the BitTorrent network and Bitcoin cryptography. The BitTorrent website Play hosts a controversial magnet link repository on ZeroNet, which links to copyrighted content. Also, ZeroNet support is offered by a Reddit community. The existence of online peer-to-peer websites had hypothesized for some time, with the Pirate Bay and BitTorrent Inc., suggesting they would build a network, which created the closed source Project Maelstrom. MaidSafe is another project of SAFE Network, which mainly focuses on File Sharing, but not widely spread. As of 2016, a ZeroNet page is immune to DMCA takedown notices if there are seeders. In March 2016 it operated with a max file size per website of 10 megabytes, suitable for blogs, forums, and smaller torrent sites. Syndie is developed by an open group of volunteers, led by random. Syndie’s code is an entirely open source – that their keys, content about Syndie releases visible be Public domains unless otherwise specified. Syndie software used to publish distributed forums over the anonymous networks of I2P, Tor, and Freenet. OneSwarm is a popular peer-to-peer (P2P) application that offers no user privacy. Its services are BitTorrent, and Gnutella shares data with anyone that asks for it, allowing a third-party to monitor user behavior systematically. Use of P2P network, our online activities become public knowledge. OneSwarm is a new peer-to-peer tool that provides users with explicit control over their privacy by determining the sharing of data. Data sharing in OneSwarm can be Public, friends or only with a particular group. Privacy-preserving: It protects user privacy through source address rewriting. 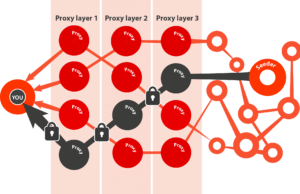 Oneswarm hides the sender and receiver identity through multiple intermediaries rather than sending it directly. For more details, check out the papers below. User-friendly: OneSwarm eliminates a simple user to master a new application’s interface or Custom media codecs because it supports audio and video real-time for in-browser playback since it is web-based. Open: Its built on existing standards with friend-to-friend data sharing is on cryptographic standards so it operates as an entirely Regressive Compatible BitTorrent client, e.g., X.509 certificates and SSL encryption. Tribler was a research project of the Delft University of Technology. It was the new open source Peer-to-Peer file sharing program created nine years ago. Algorithms tested in Real-world by three generation of Ph.D. Students. As a matter of fact, over one million installs took place during this time successfully. It is the first client who continuously improves upon the aging addresses its flaws and BitTorrent protocol from 2001.Amongst others, by streaming from magnet links we got expanded, the keyword search for content, channels, and reputation management. First of all, it is not relying on any centralized component owing to the implementation of these features are in a completely distributed manner. At the same time, Tribler manages to remain fully backward compatible with BitTorrent.